Child of Light is many things. It is a mechanical and aesthetic triumph – “beautiful and challenging”, with nail-biting boss battles and a gorgeous fantasy world. It is a “greatest hits” tribute to JRPGs that borrows from the classics (Valkyrie Profile, Final Fantasy X, and no doubt more), yet has an identity all its own. It is an atypically “arty” release from a large publisher, and an obvious labour of love. Unfortunately, CoL also represents a missed opportunity. Its narrative is a fizzle: characters and events pop up from nowhere, the plot lacks an impetus beyond MacGuffin hunts, and the ending feels rushed. The pity is that there is a genuinely interesting backstory, which could have provided structure, character motivation, and emotional heft. Instead, it’s treated almost as an afterthought. I don’t know if I could call Child of Light a great game. With a better story, it very well might be. I do think it’s brave, original, and very good. 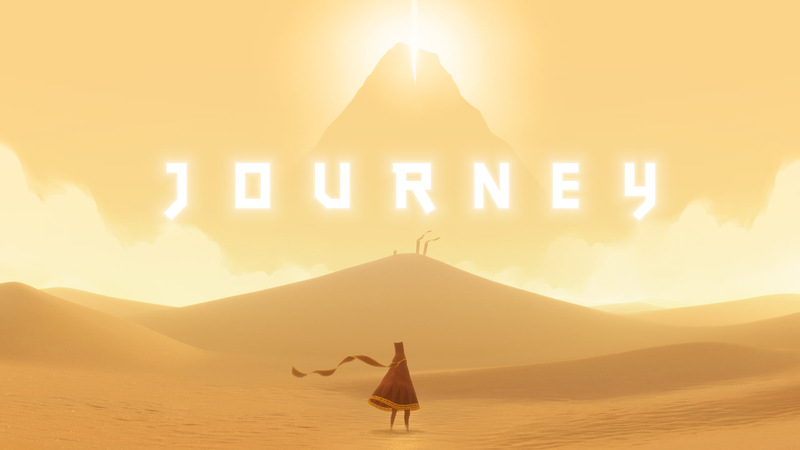 I would like to see more games along these lines – both in the sense that they synthesise the best of a genre, and in the sense that they represent a creative risk. And I would definitely like to see a sequel. My decision to buy was right; I very much like Child of Light. As much as I love my Vita, I don’t regret buying CoL for PS3 – those graphics and my TV are the perfect match. At the game’s best, those graphics and the excellent music combine to produce moments that are epic — an over-used word, but nothing else describes watching the camera focus on an enormous, three-headed hydra while the choir roars out a boss battle theme. Oliver is the ostensible protagonist of Ni no Kuni, but his familiars are the game’s heart and soul. Ostensibly, PS3 RPG Ni no Kuni: Wrath of the White Witch is about the adventures of Oliver (pictured, right), an ordinary boy who becomes the wizard-saviour of another world. But it’s not, not really. 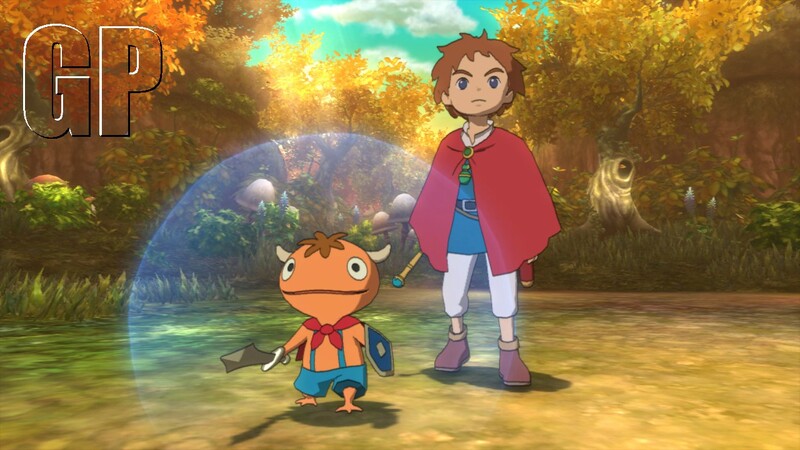 Meet one of Ni no Kuni’s real heroes (on the left): Mar Mite, melee fighter, bane of enemies from the Winter Isles in the west to Teeheeti in the east, and utterly adorable. Together, Mar Mite and friends represent what is best about Ni no Kuni – and what is worst. 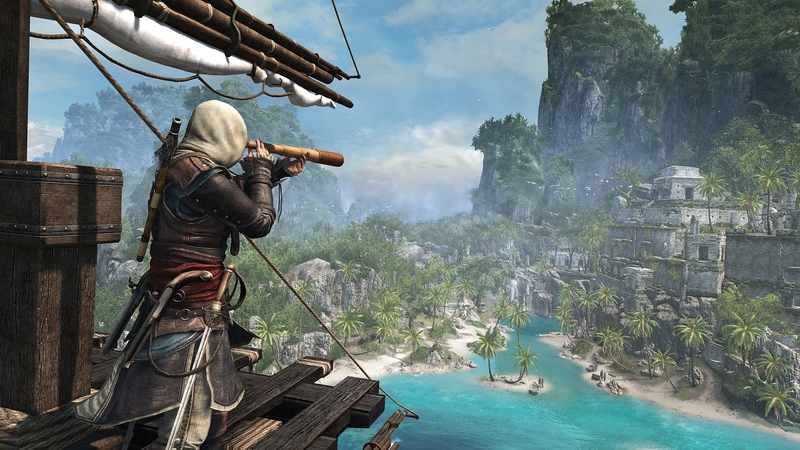 Assassin’s Creed IV impressions: Do you ever dream of the big score? So far, Assassin’s Creed IV: Black Flag impresses me. Author Peter SahuiPosted on December 14, 2013 Categories Action Games, Games, PS3 GamesTags assassin's creed iv: black flagLeave a comment on Assassin’s Creed IV impressions: Do you ever dream of the big score? Highlights from the EB Games Expo Sydney 2012: The Last of Us, Tomb Raider, Wii U, Australian indies and more! Author Peter SahuiPosted on October 7, 2012 October 14, 2012 Categories Action Games, Casual Games, Games, Mobile Games, PC Games, PS3 Games, RPGs, Strategy Games, Wii U GamesTags bebee the bee, blastpoints, borderlands 2, bouncer, company of heroes 2, darksiders ii, dream catcher, eb expo, far cry 3, giant robot destroy everything, gravity rush, missile control, orbitor, protocol e, runic rumble, splinter cell: Blacklist, tasty fish, the last of us, tokyo jungle, tomb raider, xcom2 Comments on Highlights from the EB Games Expo Sydney 2012: The Last of Us, Tomb Raider, Wii U, Australian indies and more! Fan-made trailer for Dark Souls! Author Peter SahuiPosted on January 20, 2012 Categories Action Games, Games, PS3 Games, RPGsTags dark soulsLeave a comment on Fan-made trailer for Dark Souls! This is part 4 in my series on Demon’s Souls and Dark Souls. Level design: I think Dark Souls has the edge here. Three of the five worlds in Demon’s Souls, at least at the points where I was, felt like typical video game/fantasy environs: the pseudo-medieval castle; the prison/torture chamber; the ruined shrine. They were well-done, to be sure, but typical all the same. Dark Souls, in contrast, has given me a street battle through a pseudo-medieval town, followed by a dark, lush forest, both of which feel far fresher. I don’t think it’s a coincidence that I find it easier to suspend disbelief in the second game*. Multiplayer: This has been the source of some of my grandest moments. Co-op is still a blast – my favourite visual image from the game, so far, is three warriors, male and female, differently armed and attired, advancing across a rooftop to meet a boss. And after regularly dying to PVP invaders in the first game, it was a glorious moment when in co-op, I tag-teamed an invading griefer, shrugged off multiple blows from his hammer in a battle lasting minutes, and finally knocked him to his death off a ledge. Overall first impression: A more polished version of the same, but that’s not a bad thing! If anybody out there enjoyed the first game but hasn’t picked this up yet, this seems well worth checking out. * Though to be fair, I wonder if my reduced use of walkthroughs/maps in Dark Souls has something to do with this. This is part 1 of my series on Demon’s Souls and Dark Souls. Last weekend, flush with victory over the first boss of Demon’s Souls, I cheerfully declared, “Much less difficult than I was expecting!” I suspected I’d have to eat those words sooner or later, but hey, they were true at the time. This weekend, Demon’s Souls fulfilled my expectations. Over the course of a circa two-hour play session, I was repeatedly BBQed by a dragon; made it past the dragon only to be carved to bits by a waiting knight; poisoned; ambushed from behind; and blew most of my precious healing items. What kept this fun rather than frustrating was that for most of this time, I was playing co-op. While every game is better in co-op, this is doubly so in Demon’s Souls. This is partly due to the usual “many hands make light work” effect, partly because of what a relief it is to see friendly faces, but also partly because the game’s penalty for dying doesn’t always apply in co-op. For background, in Demon’s Souls, you can exist either in “body” or “soul” form. Dying in body form will send you into soul form, and dying in either form will make you drop all your accumulated souls, the game’s titular substitute for currency/EXP. If you die again before retrieving your souls via a corpse run, they’re gone forever. I largely played my first few hours (single-player) cautiously, methodically, keeping an eye out for sudden death, and as such, they felt like hours. In contrast, those two hours of co-op flew past, laden as they were with memorable moments. There were moments of endearing etiquette, when blue phantoms or the host would bow upon arrival. There were moments of wordless teamwork. Once, our way was blocked by a row of boulder-flinging monsters. The warrior next to me hesitated. And I realised this was a job for my spellcaster: I stepped forward, raised my silver catalyst, and began blasting away to clear our path – just as the third player present emerged from behind the boulder-tossers and caught them between hammer and anvil. This worked both ways – as a weedy spellslinging princeling, I loved having beefy, armoured knights around who could wade into melee and draw fire from me. And there was a moment of triumph, when the giant spider finally fell. “THE DEMON WAS DESTROYED” took over my screen, and souls flooded into my possession. I gave the other player the highest possible rating (I hope he/she reciprocated! ), and back in my own world, took great pleasure in spending my newly acquired souls on a shield and some skill points. I didn’t push my luck after that in single-player – with that, I logged off for the night. All in all, I had a great time playing Demon’s Souls co-op. And my advice to anyone scared by the thought of visiting the Kingdom of Boletaria: try it with a group! Safety in numbers might be a relative term in this game, but you’ll also enjoy camaraderie and the spectacle of seeing other brave souls in action. See you on the other side of the fog!